The Solid Waste Board meeting focused on the 2019 budget and success of the television amnesty program. 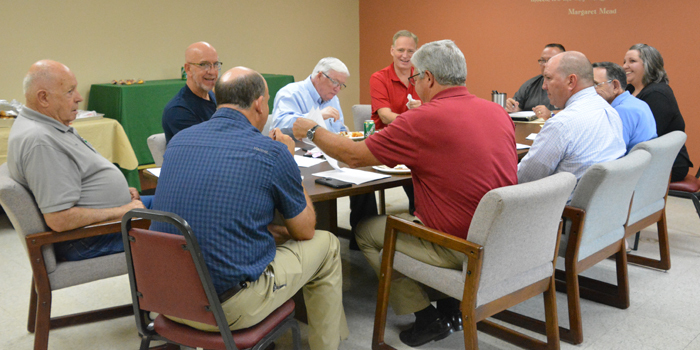 WARSAW — Business at the Kosciusko Solid Waste Management District board meeting Tuesday, July 24, focused on the 2019 budget and the television amnesty program. During the budget discussion, Auditor Michelle Puckett said that in the 2019 budget plan, wages for employees have been adjusted in order to mirror other county boards. The board approved this adjustment. KC Recycling Depot director Tom Ganser discussed a potential partnership with the Warsaw Little League. Staff members within the league are looking into more efficient recycling solutions, as 80 percent of the organization’s trash volume is plastic bottles. The board agreed to look into the partnership with the Little League. Ganser also talked about the television amnesty program and its success. Sixty televisions were brought into the depot on Monday, July 23. The board briefly discussed a project for the south receiving door at the depot. They are currently waiting on a third bid from a company before making a decision. Ganser said he’d like to have the project done sometime in August. The board approved June meeting minutes. The board approved claims of $41,980.81. The board’s next meeting is at 11 a.m. Tuesday, Aug. 21.